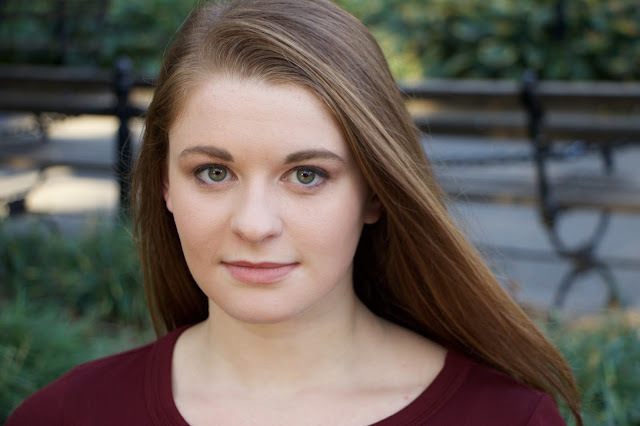 Melanie Mendel, soprano, is currently completing her Master of Music in Vocal Performance at Mannes School of Music and holds a Bachelor of Music in Music Education from Westminster Choir College. This spring, she will be making her On Site Opera debut as the cover of Fanny in Morning Star. This past summer she performed in the Minuetto Music Festival and New York Summer Opera Scenes program. Recently, she has performed excerpts from Le Nozze di Figaro as Susanna, Lakmé as Lakmé, Cendrillon as La Fée and La Clemenza di Tito as Servilia. During her time at Westminster, Melanie was delighted to sing Handel’s Messiah with Jane Glover and the New York Philharmonic, Beethoven’s Symphony No. 9 with Sir Simon Rattle and the Berlin Philharmonic, Bach’s St. Matthew Passion with Yannick Nézet-Séguin and the Philadelphia Orchestra, Brahms’s Ein deutsches Requiem with Daniele Gatti and the Vienna Philharmonic and Mahler’s Symphony No. 2 with Yannick Nézet-Séguin and the Philadelphia Orchestra. Along with classical music, Melanie has a passion for musical theater, in both directing and performing. Her most recent credits include Hodel in Fiddler On The Roof, Kathy Seldon in Singin’ in the Rain and Catherine in Pippin. She has directed A Year With Frog and Toad and a Broadway Kids cabaret production. Melanie would like to thank her family for their constant support along with The Great Composers Competition for this wonderful opportunity to help young artists grow and push the boundaries of opera.